Anita Mukherji is an associate attorney at Bean + Lloyd LLP. Prior to joining the firm, Ms. Mukherji was an immigration attorney at Catholic Charities of the East Bay, primarily representing unaccompanied minors fleeing violence in Central America in their applications for asylum and Special Immigrant Juvenile Status. There, she also represented clients in family-based and U Visa cases. Before her position at Catholic Charities, Ms. Mukherji was a Childhood Arrivals Fellow at the UC Davis Immigration Law Clinic, representing unaccompanied minors and their families. Ms. Mukherji received her J.D. from the University of California, Davis School of Law in 2014. She was a member of the UC Davis Immigration Law Clinic and was a UC Human Rights Fellow. Ms. Mukherji received her A.B. from Harvard College in 2009, concentrating in romance languages and literatures. 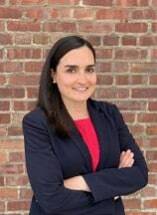 She is currently a member of the American Immigration Lawyers Association Northern California Chapter as well as the Immigration Law Clinic Alumni Council. Ms. Mukherji is a member of the California Bar.